(* 1st.Part : 10 days And * 2nd Part : 10 days; Followed by 10 days INTERNSHIP, at least one month after completing the course. SUCCESSFUL TRAINEE WILL BE AWARDED BY CERTIFICATE OF COMPLETION BY IRIIM ONLY. Registrar IRIIM, IRIIM Bhawan, Mourigram Stationpara, P. O. Unsani, Howrah 711302, W.B. India. If selected, they have to submit the Registration Fee in Advance to the IRIIM Bank account. Questionnaire: Written, Oral & Practical. 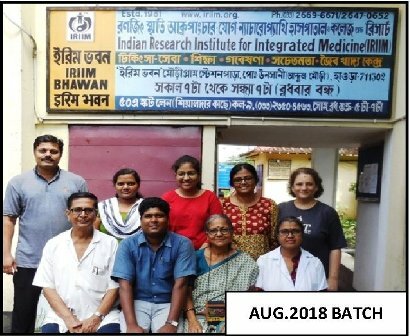 Since inception, IRIIM organizes Training of Integrated Acupuncture both for the Doctors and Freshers, so that they can integrate or practice these drugless therapies in their day to day work. It runs Acupuncture-Yoga-Naturopathy College of Research following WHO guideline on Acupuncture Training. 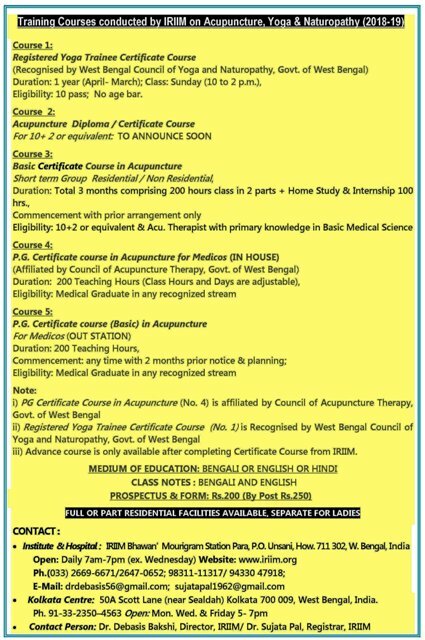 Acupuncture Training by IRIIM for Doctors is affiliated by Council of Acupuncture Therapy, Govt. of W.B. Camp training is also conducted throughout India. About 2500 persons have been trained here so far. 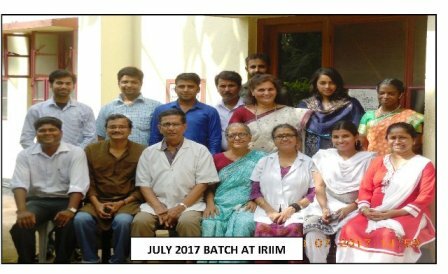 IRIIM was also an IGNOU Programme Study Centre for Post-Graduate Diploma in Acupuncture Training. 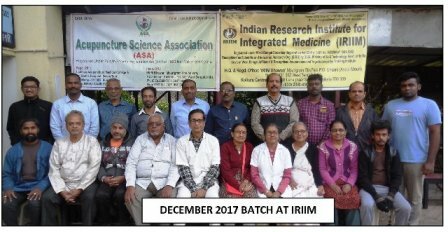 IRIIM is conducting 1 Yr. Cert. 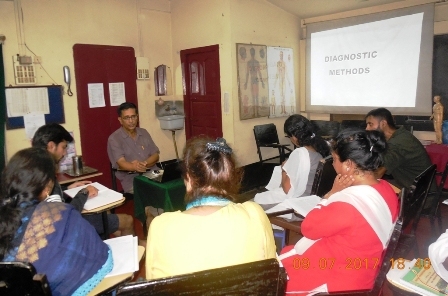 course in Acupuncture for Medicos in Kerala since 2008 with its Kerala Faculty. 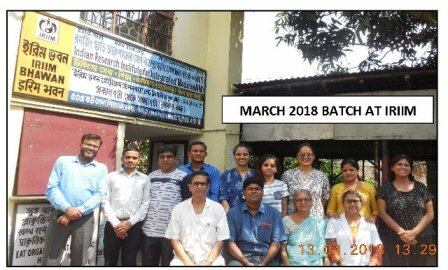 IRIIM also conducts separately 1 year Yoga - Naturopathy "Registered Yoga Trainee" course for 10 or equivalent passed people, this course is recognised by Govt. 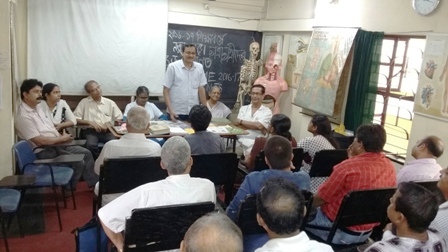 of West Bengal Council of Yoga-Naturopathy.